. 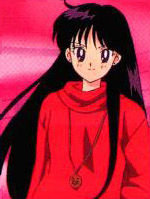 : Lunar Palace v.5 - USA: Sailor Mars :. Even though Rei and Usagi fight all the time, Rei cares for Usagi a lot. "When two people often argue, they're best friends.